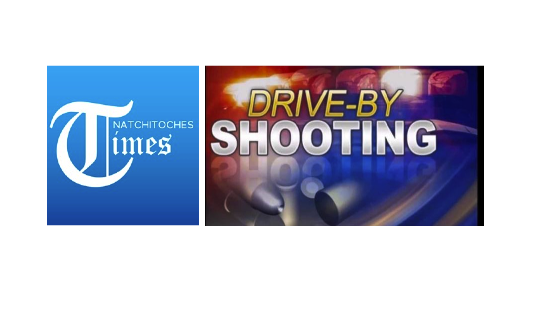 NPSO Natchitoches Parish Sheriff’s Deputies arrested three people in connection with a drive-by shooting in Natchez Monday, Feb. 19. At 12:21 a.m., deputies responded to reports of a drive-by shooting in the 200 block of La. Hwy 119 near Sowell Street. Deputies spoke with the complainant who informed them a white Ford pickup truck passed his residence and fired a shot. The vehicle then traveled down the street, turned around and fired another towards him as it passed his residence. NPSO 911 Dispatch Center issued a BOLO (Be on the Lookout) for the suspect vehicle. As additional NPSO units responded, they observed the suspect vehicle parked near a business on La. Hwy 1 in Natchitoches. Deputies identified four occupants of the vehicle as Antoria Shakell Forest, 24, of Natchez, La., Demario Dewayne Braxton, 20, of Natchez, Kyara Monshanay Claiborne, 21, of Natchitoches and another female not involved in the shooting. Deputies say while interviewing the subjects they collected and seized evidence directly implicating Forest, Braxton and Claiborne and placed them under arrest. During a pat-down of Claiborne, deputies discovered a DB .380 caliber semi-automatic handgun and ammunition on her person. During a search of Braxton, deputies discovered a small bag of suspected marijuana on his person. Antoria Forest, of the 200 block of Johnson Loop, is charged with 1-count of Aggravated Assault by Drive-By Shooting. Bond was set at $50,000. Kyara M. Claiborne, of the 500 block of Myrtle Drive, Natchitoches, is charged with 1-count of Illegal Carrying of Weapons. Claiborne was released pending her court appearance. Demario D. Braxton, of the 100 block of Sam Clark Road, Natchez, is charged with 1-count of Criminal Conspiracy to Commit Assault by Drive-By Shooting and 1-count of Possession of CDS I Marijuana. Bond was set at $55,000. Deputies say they learned during the investigation the drive-by shooting was in retaliation to an earlier disagreement between the complainant and Forest, the alleged shooter, while Braxton instructed and drove the vehicle. There were no reported injuries. The case will be turned over to the Natchitoches District Attorney’s Office for review and prosecution.